Former two-weight UFC world champion Conor McGregor has called for a third fight with Nate Diaz. 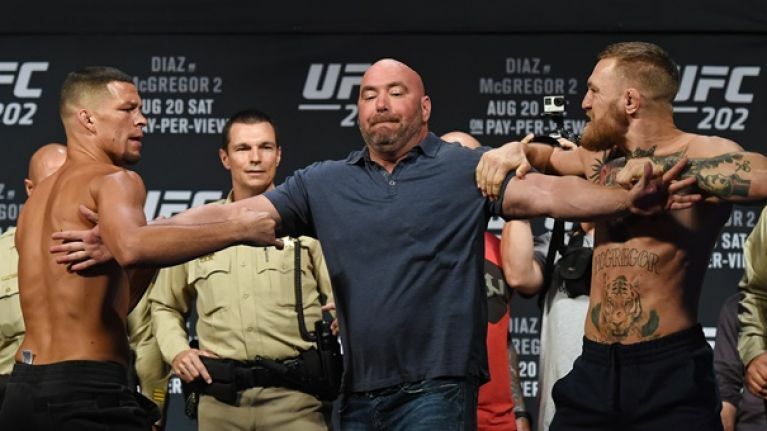 Diaz famously upset McGregor in March 2016 with a rear-naked choke at UFC 196 before the Dubliner avenged the loss a few months later with a majority decision win over Diaz at UFC 202. The two have circled each other since, with McGregor seemingly always open to the possibility of a third fight between the two, and he has now called for the fight after Anderson Silva challenged Nate's brother Nick Diaz to a fight in Curitiba. The news comes just days after Donald Cerrone said that he would be fighting McGregor this summer with UFC President Dana White open to the idea when he was quizzed on McGregor's next opponent earlier this month. “Yep, I like that fight too," White said on ESPN's Now or Never. “They’ve both called each other out.